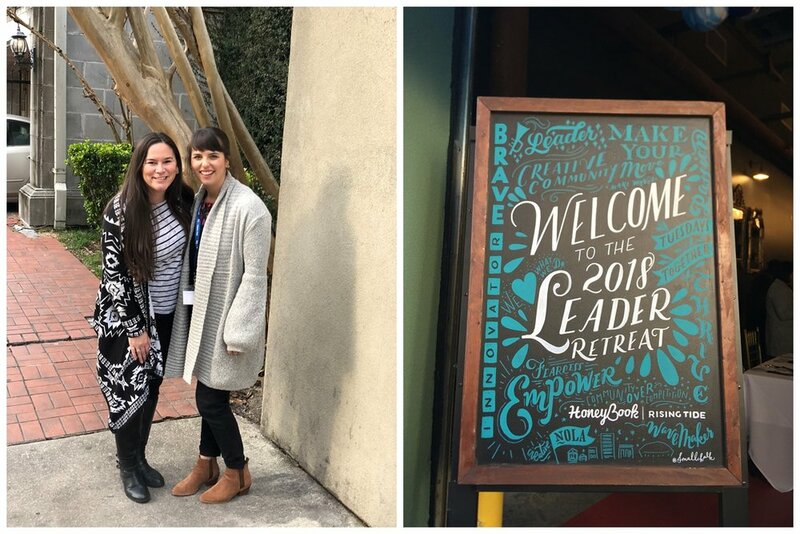 Over the last week, we’ve spent our days with an amazing group of leaders and innovators from around the U.S. for the Rising Tide Leaders Retreat in New Orleans. The Rising Tide Society is an amazing group of creative entrepreneurs who exists to inspire, give free education and spread a movement of “community over competition”. In a world where everyone is so afraid of sharing their secrets, where people often live in a scarcity mindset, we believe there will always be enough work to go around and we shouldn’t live in a place of fear. The Rising Tide Society has over 500 local chapters all over the world. These chapters are free to attend and meet up once a month, sometimes more! Stephen and I happen to lead the local Chico Chapter and have for the last few years. Each chapter meets on the second Tuesday of every month to connect. We discuss a “topic of the month” that relates to building and maintaining our businesses and encourage one another along the way. These local meetups are called Tuesday’s Together and we are extremely passionate about seeing the creative community in Chico continue to thrive! The retreat was an amazing experience for us and we expected nothing less! We heard from incredible speakers, networked with other Rising Tide leaders from different cities and of course, explored the great city of New Orleans. Some of the amazing sponsors and resources were Travelbank, Weebly and Honeybook. Stephen was on the passive income panel and gave a talk all about passive income and his new course he’ll be launching in the next few weeks! If you’re interested in hearing more, here’s a great linkto get all the details. It’s really hard to summarize the trip into a short blog post but we’ll try. 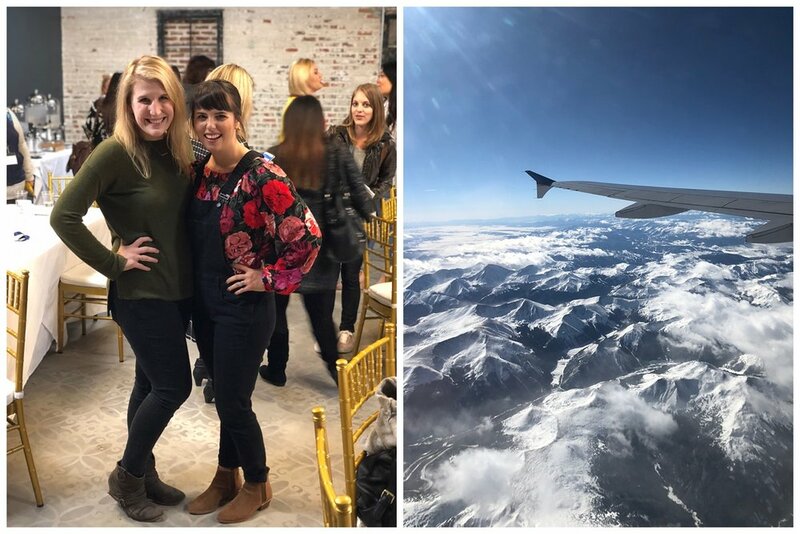 Below are some of our key takeaways from this amazing getaway both to do with our own business but also as leaders of our community. This is especially needed for us business owners. We believe more than anything the importance of promoting a personal brand within our business. We want others to know who we are as people and hire us because of that connection alongside our talents. We’re both starting new business ventures this year alongside TréCreative and that often seems scary. People want to hear about all the fluffy good stuff, but the hard struggles as well. It’s what makes us human, being able to relate to one another in all seasons of life. This is key for our business, but also our local group. We always want to be honest and open with our local Tuesday’s Together group because that encourages others to do the same. Warren Buffet said, “It takes 20 years to build a reputation and 5 minutes to tear it down”. As a “service-based business”, we should always be looking for ways to serve others. This is what we’ll build our reputation on. We can be givers or takers, and as leaders, we want to show up and not only care about the business needs of others, but their personal well being as well. One of our favorite speakers at the conference, Mary Marantz recommended the book Go Giver as a MUST READ for our group, and I’m excited to dive into it soon. This is sometimes so hard for me. Whenever there’s a conflict (or even something that remotely could seem like a conflict), I always tend to rush to assume that people have the worst intentions. Being a good leader takes the opposite. We need to always assume the best in the other person. Always show empathy and assume the best in people until they prove you otherwise. Often texts, emails, or social media posts can seem harsh because there’s no “tone”. It’s important to always assume the best intention when interacting with people and not get defensive. I’ve said this before, but there is something about showing up in person to connect with others. I love social media and think it’s an amazingly powerful tool to connect online. However, we’ve seen it first hand time and time again the importance of going someplace to meet others. If you’re on the fence about investing in a conference or workshop, we say go for it 100%! The connections you can make face to face are so valuable it’s crazy NOT to go.